is a haunting tale of friendship and rivalry between three women artists, who’ve known each other for years, who must come to terms with imminent mortality and artistic frustration: Liz Moore, born poor in Minnesota, fought her way to New York in the 1920s, but isn’t “discovered” until late in life; C.C. Davis, a well-to-do New Yorker is Moore’s only student, and rival, who, just after WWII achieves some small success, but feels, as she faces cancer in 2002, a failure; and Quiola Kerr, part Ojibwe, once C.C.’s lover, who is caught in the middle, and who, as a painter in the 21st century, has the most doubts about art’s value in an electronic world. In April 2002, all three meet a week before C.C.’s mastectomy at a MOMA retrospective for Liz Moore, but their reunion is tense. Still, they try to cope, until C.C. makes an unexpected and controversial choice, one which nearly breaks the bonds these three took so many decades to forge, and forces Quiola to try to confront Liz, who she believes deliberately sabotaged C.C.’s career. is the name given to a child who, in 1966, is found abandoned in a rocket-ride on Cape Canaveral. Traumatized, she could not speak when the police found her, a few yards from her dead mother. So first responders called her “Baby Rocket.” As an adult, this child (Clementine “Lem” Dance) has no memory of this event. She discovers her past when her adoptive father, James Walter Dance, Jr. has a fatal heart attack. Lem, a women’s historian who is writing a book about the Mercury 9, while cleaning out her father’s apartment finds files that her father had been collecting in order to tell her the truth. Without him, she must piece together her story—why was she abandoned? What happened to her parents? How did her mother die? Who is her biological father? Doing so will take her from California back to the Tri-State area, where she now lives; to Florida, where she will find her mother’s roots, and her mother’s life-story. Finally she goes out to Martha’s Vineyard, where she will come to terms with what she can recall, and what she has uncovered about the wrenching facts of her early years. 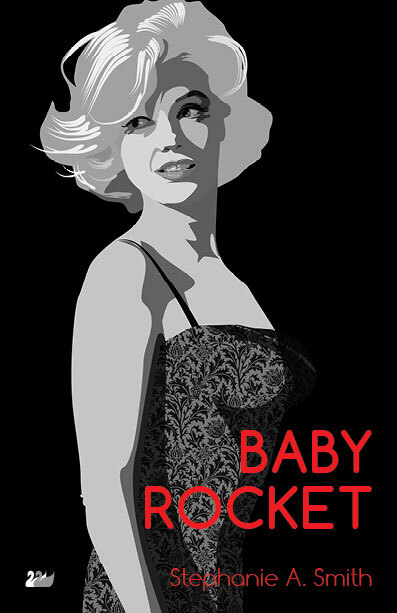 Baby Rocket is about a woman’s historian, NASA, the Space Race, Marilyn Monroe, adoption, domestic abuse, amnesia and family secrets, evasions, lies; it, too, has a lesbian couple (Quiola reappears but she’s not central); takes place in Santa Monica, Cape Canaveral, Connecticut and Martha’s Vineyard, and there is both murder and suicide in the story. The main character, “Baby Rocket” a.k.a Clementine “Lem” Dance shows up as a minor character in…. Content Burns. 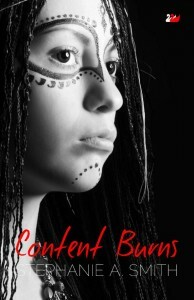 The newest novel of the trilogy is about two women in the Burns family, both named Content; the first Content Burns is a Pequot Indian named Asawanuw (translates as Cornsilk) who survives the massacre at Mystic in 1637, to become a servant to a white Puritan family. She converts to Christianity, takes the name Content, and later marries David Burns; the second Content Burns is Content Abigail Burns or Cabbi, who survives 9/11 by accident (she trades restaurant shifts with a co-worker, who dies); the women will never know of one another, but they lead parallel lives of trauma and survival. This one takes place in NYC, Connecticut, Whidbey Island (off the coast of Seattle) and Martha’s Vineyard.